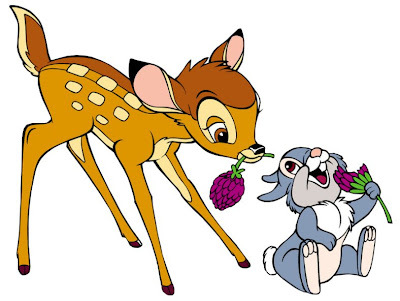 I will refuse any posts or comments that flagrantly violate Thumper's Rule. So, if you choose to violate it, start your own lone and lonesome blog, if you please. AMEN to that! I said something similar on my blog just the other day. Unfourtunate, isn't it. I really like what you said about the truth not being situational or a matter of convenience. Good man Jim. Good man. I couldn't agree more, I find that blogs are most interesting when they serve all parties who might come across them, rather than individuals. Not to mention I am a BIG fan of Thumper! Just a friendly reminder -- Thumper's Rule is being enforced. Arbitrarily and totally according to MY call. If I think you have violated even the SPIRIT of the rule, you won't likely see your comments here. Remember, I make no buts about it -- I am the absolute dictator of policy on this blog. If you don't like that go start your own. Or complain to me. I might even listen if I'm on a really good mood that day. You only enforce that rule with me. Both of the comments posted are aimed at hurting me. And your blogs are aimed at hurting me.